My path into making pie started slowly. Usually I helped out a friend making one for a holiday. Then I decided I wanted to make one on my own. After many different experiments, I have discovered a pie crust recipe with minimum ingredients that continues to impress friends' tastebuds. I will not pretend this is my own, far from it. The recipe I go to time and time again is the King Arthur's All-Butter Pie Crust. However, I do have a trick or two (aka what would I do without a Kitchenaid) to make it a flawless and easy process. The following recipe yields 1 double crust pie or 2 single crust pies. If making a tart, you can simply halve the recipe and it will work fine. I do this all the time to make a rustic tart for 2-4 people). 1. Whisk together the 2 1/2 cups of flour and 1 teaspoon of salt (I personally use the dough hook on my Kitchenaid to mix throughout all the steps). 2) Dice one cup of UNsalted butter* (which is 2 sticks / 16 tablespoons) into small cubes. Then work into the flour mix (if mixing by hand - either a fork or your fingers works best) until you have pea-sized pieces of butter throughout mixture. *A vegan option that works wonderfully: Earth Balance Soy Free Sticks. 4) With your ball of dough, you can either divide into two and then wrap in plastic or wrap the whole ball in plastic and divide later. 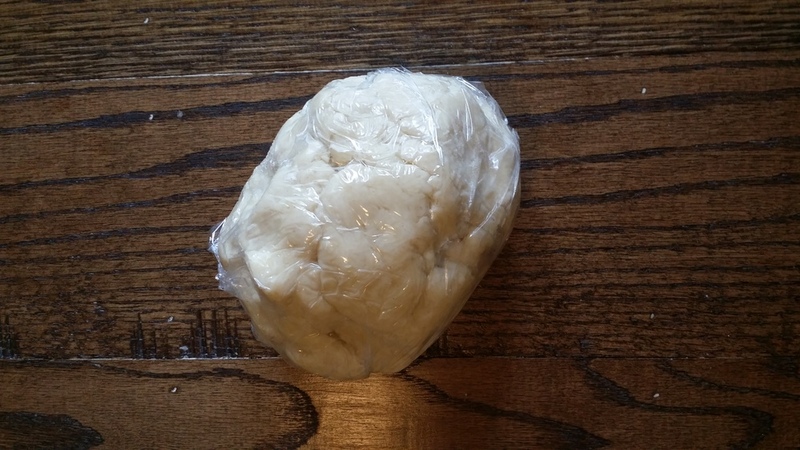 The dough will need to chill for 30 minutes in the refrigerator. You could go ahead and roll it out, but I find it better to give the dough the necessary time to chill as it is easy to work with. If you refrigerate for any time longer than 30 minutes (say for a few hours or overnight), you will need to allow the dough to warm up to room temperature for 10 to 15 minutes. 5. 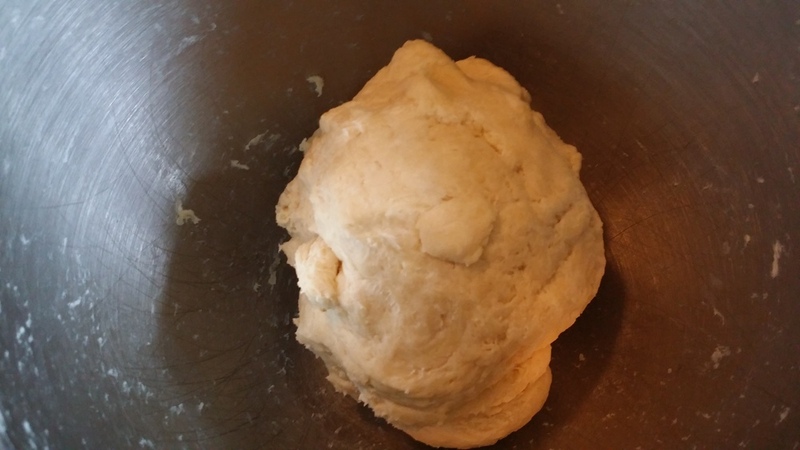 Separate the dough, if not previously done in step 4. Then roll out dough on a well floured surface according to the size of your pie tin. (I prefer a tapered rolling pin - which is one piece of solid wood - easy to work the dough). Then add your pie filling recipe of choice. If it turns out you a have a bit of leftover dough, do not fret. It happens as not all pie pans are the same size. Look at it as an opportunity instead of waste. You can make mini rustic tarts or even a twist on the cinnamon roll (as seen below). The important thing to remember: pie is amazing and you absolutely can make one yourself. With pratice and patience you will be wowing your friends in no time. Happy baking!.